The Council on American Islamic Relations, which has been tied to HAMAS, a designated Foreign Terrorist Organization and has been named a terrorist organization itself by US ally the United Arab Emirates due to the fact that it is a wing of the Muslim Brotherhood, the granddaddy of all modern Sunni Jihadist organizations, is due to hold a press conference soon regarding the San Bernardino terror attack. 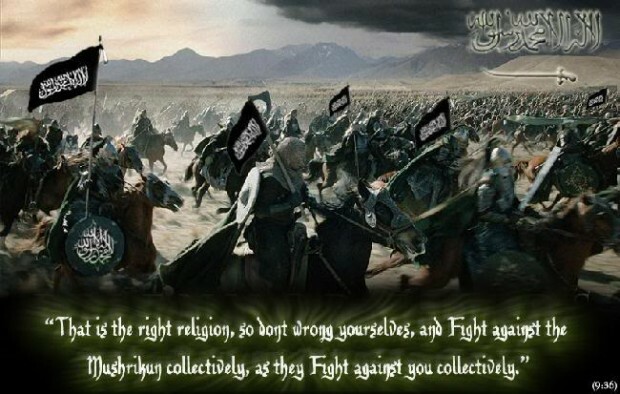 All matters associated with Islam, its organizations which are graciously permitted to flourish in an this open republic,are squandered by them with their tireless scheming and subterfuge against us as none of us would find reciprocated in their eastern lands, currently being decimated by them. We can no longer rely on big-reach media, the courts who intermittently render correct outcomes, legislatures to quash Muslim subterfuge (kitman, etc.). The constitutional fire walls have been breached. Miserable as this is to face and accept, patriots must recognize outright this dismal condition, and through this, with God’s grace, remedies can be secured. If we find it difficult to take cair’s comments seriously, we do so at our own peril. A few minutes ago a ‘representative’ from the local chapter was on the nightly news. She offered the usual platitudes regarding the ‘religion’ of peace (or is that piece?) but offered absolutely NO indication of any actions they are taking to prevent any further outbreaks of jihad, either here or in other countries. Simply stated, by their inaction they are giving tacit approval to any and all acts of terror committed by their followers.